As a continent, Africa is rich in natural resources. This fact, combined with rising prosperity and a more organised business climate, is drawing companies and investors from all over the world. Centuries ago, the world came to Africa by sea; today, this rush is conducted by air, and we are seeing the rapid development of the African aviation industry as a result. The aviation market is currently little regulated, with government agencies in many countries trying to protect local airlines by restricting competition. This has led to higher-than-expected travel costs in most parts of the continent. African Open Sky (AOS) is working to change this trend. With its close links to civil aviation authorities and local airport authorities, the company aims to be a model for others to follow. It stands in support of not just its own local aviation industry, but the entire continent’s too. European CEO spoke to AOS CEO Max O Cisse about this mission, and how AOS aims to turn region success into continental coverage. What challenges does the African aviation industry currently face? Despite the goodwill of local authorities to develop the African aviation sector, expansion is hampered by a poor safety and security record, as well as a lack of adequate resources and infrastructure, huge distances, limited connectivity, a lack of training, primitive regulation, and unnecessary government intervention. These problems serve to increase operating costs, which are already high as a resulting of passenger taxes and aviation development taxes. Addressing these challenges is the key to unlocking the industry’s potential for future growth. 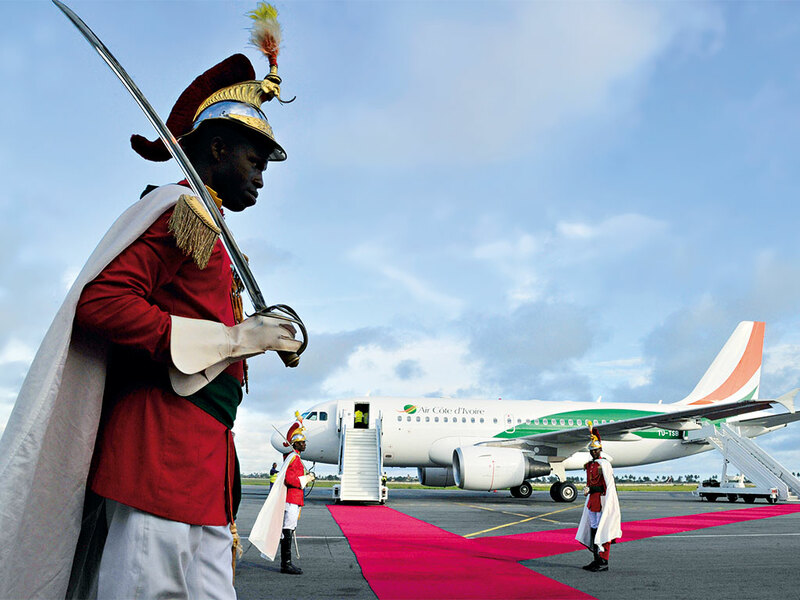 How is the aviation industry in Côte d’Ivoire faring? Côte d’Ivoire stands apart in terms of the difficulties faced by Africa’s wider aviation industry. The authorities maintain a high quality of security, safety and infrastructure as a matter of course. On the ground, the country boasts a modernised civil aviation authority, while airport management and ground handling at Abidjan, the capital, are entrusted to well-known foreign companies. Abidjan’s Port Bouet Airport, already the country’s largest, has a range of expansion projects in place. The government has developed the national carrier, Air Côte d’Ivoire, by providing the finance to improve its fleet and network, with the goal of making Abidjan a regional hub for west Africa. Alongside this, there is the Airport City project – the first of its kind in Africa – which aims to create a city around the airport, with a range of facilities for travellers, including hotels, banks and department stores. AOS is proud to be part of this unique project. What role does regional presence play in African Open Sky’s strategy? If you want to succeed in today’s volatile global economy, you must be prepared to do business all around the world. We are constantly adapting our structures to become faster and more flexible, and one of our values at AOS is ‘we put our customers at the centre of what we do’. We have to understand their needs and wishes, and enter into a dialogue with them. AOS has become the one-stop solution for our clients, as we are available all over the African continent, even where there is no local company or supplier to handle your flights. We are locally registered in many countries, have direct relationships with a range of authorities, and do not operate through third parties. This simplifies operations and significantly reduces handling costs for operators, as they only have one handling company that will deal with all their trips across Africa. There is no need to search for local service providers for each stop, as they can relay all on AOS; all coordination can be done through a single operational control centre. This strong regional presence helps us to be the number-one service provider in Africa, and in return we have been integral to our clients’ operational success. What plans does African Open Sky have for the future? Our aim for the next two years is to enhance our cooperation with aviation authorities, in order to help and support them in the development of hundreds of African airports. This will involve the provision of equipment, training and management, among other things. Apart from this, AOS’ wider strategy is to develop African tourism and access new revenue opportunities, working towards new technology and improved regulation, in accordance with international standards.